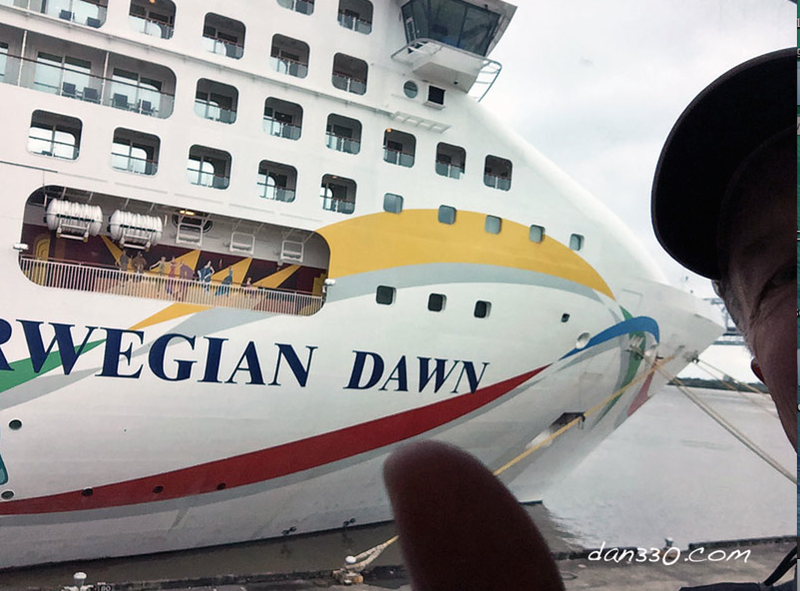 This is the second in a series Cruising on the Norwegian Dawn. The big day finally arrived and we were ready to go on a cruise! 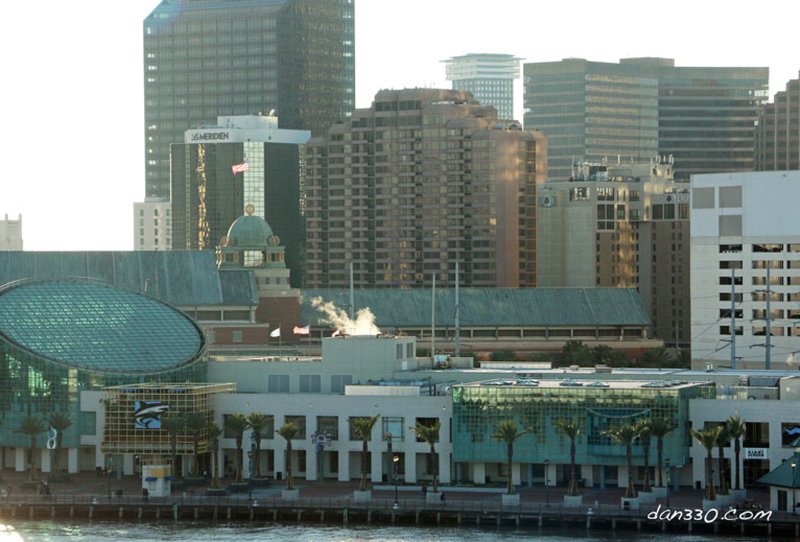 Having stayed overnight in the French Quarter of New Orleans, we had just a short drive to get to our parking ramp at the Port of New Orleans. The cruise left at 4pm and we were given a check-in window of 12:30 to 1pm. Norwegian Cruise Lines made it easy to check in online. We actually printed off our cruise documents and baggage tags at home before we even left on the trip. Other advantages of registering and checking in online is that you can book shore excursions, make reservations at specialty restaurants and book seats for entertainment or spa treatments. Some tours and venues are very popular so if you really want to take advantage of them, it makes sense to book them online before the cruise. We repacked our bags and attached our baggage tags after we had a leisurely breakfast in the French Quarter. The timing for getting out of our room was perfect to make our checkin window at the pier. We used New Orleans Parking and thought they did a good job. Our car was at the Fulton ramp and was covered for the whole week we were cruising. The rate with tax was $82, which is cheaper than the charge for airport transfers at some ports. The ramp had lots of staff on hand to handle the crush of traffic arriving for the cruise. They had plenty of shuttles running from the ramp to the pier so their really was no waiting for a ride. Getting off the shuttle from the parking ramp, we handed our bags to porters who Norwegian had waiting for us. This was great because now we did not have to drag our big bags around for the whole checkin process. If I were to do anything differently I would have packed a couple of roll on bags instead of using backpacks etc. Even small bags with shoulder straps got heavy after a while. Having carry on bags with rollers would have been easier. There were a lot of people at the pier. To be fair, the whole process of checking in, going through the security checks and the document checks went pretty smoothly. We were carrying a couple of bags each because we wanted to keep our camera equipment in our possession. Having checked in online and having our bags tagged before we went to the pier made a huge difference for sure. Hey Norwegian- We choose this one! Once we finished the checkin process at the pier, we were escorted to the ship and to a dining room. Our cabin would not be ready for a little while so Norwegian Cruise Lines had food available for the early boarders. 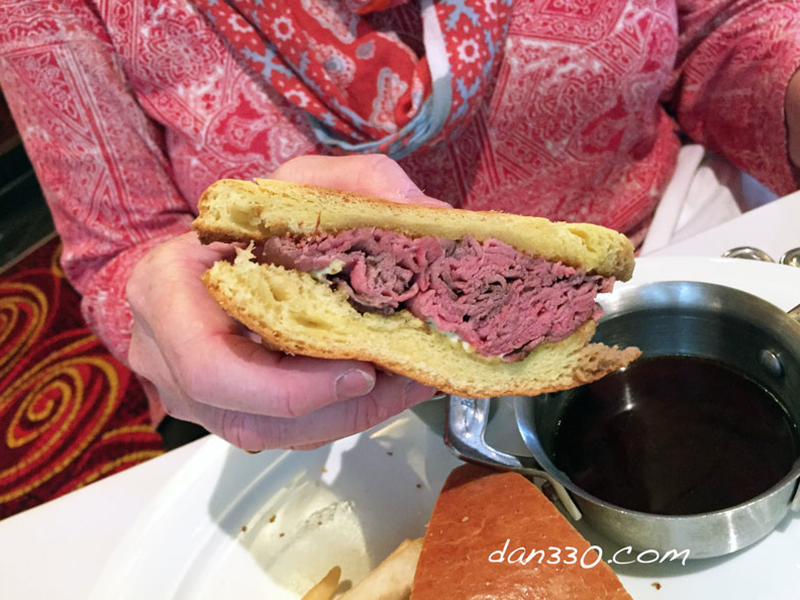 We were taken to Cagneys Steakhouse for our lunch and had a great sandwich! We personally liked this dining room the best and had breakfast there almost every day of the cruise. 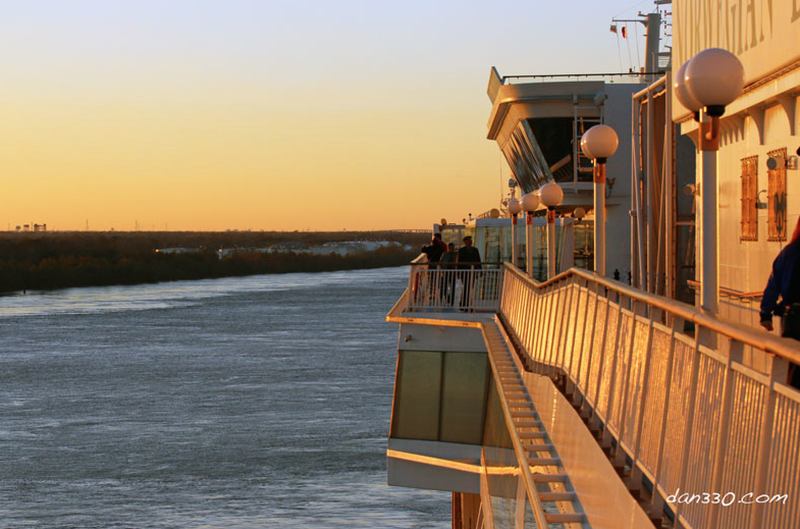 Our recommendation for people new to cruising and to Norwegian’s Freestyle dining is to spend the time after you get to the ship and before leaving the port, checking out the dining options available. The first night it seemed like people all headed towards a couple of the larger dining rooms and there were kind of long lines to get in. We went to a smaller dining room and were almost the only people there. About an hour before our departure time I went to the top deck to find a place to do some video from. I had a portable tripod that held my phone. My plan was to do a time lapse of the departure from New Orleans with the phone. This would leave me free to take pictures with the big camera. Everything was going smoothly until I turned the camera on and tried to start the video. Of course I got a message that there was not enough memory. Argh! The ship was definitely moving now so I had to act quickly. 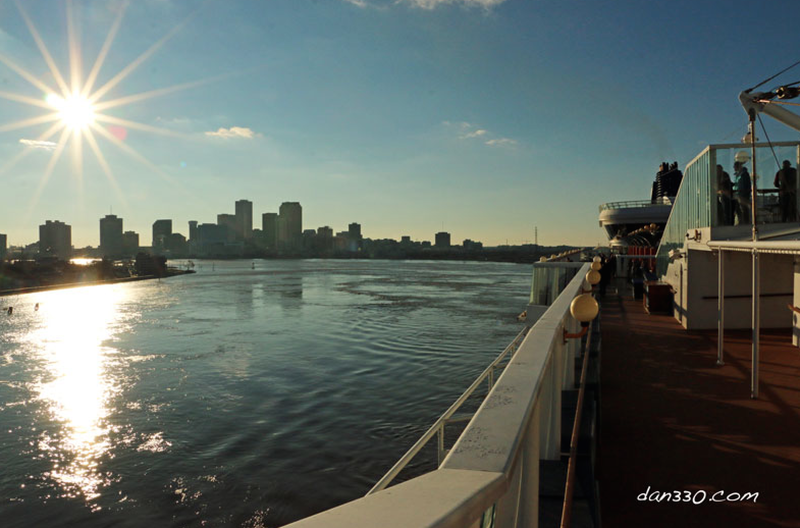 The Mississippi River was right at flood stage and the ship was docked facing upstream so there was a quick 180 degree turn to be made right out of port with lots of current due to flooding. 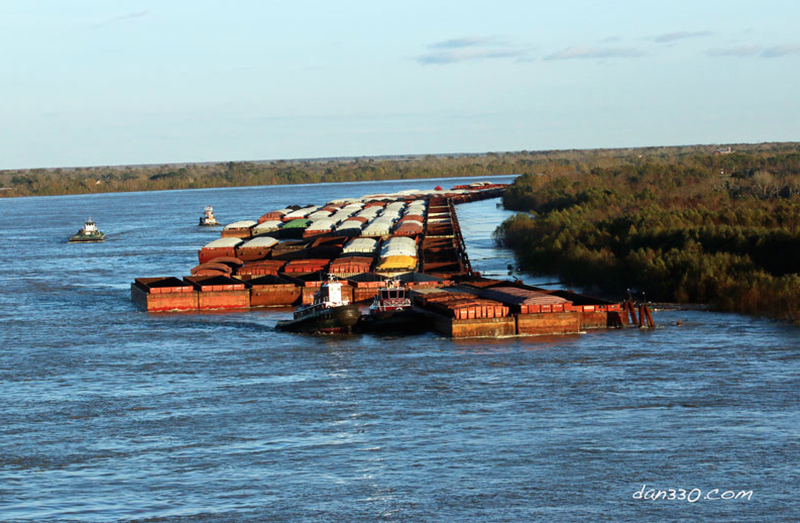 In addition the ship was docked just downstream from the Crescent City Connection bridge. The captain had to make a quick turn through lots of traffic. I shot this video with the Canon camera of our departure. It could have been better but I was already on plan B. You do get the feel of the tight turn right at the pier with the buildings of New Orleans as a background. The turn out of port went fast and we were on our way. This is the part of the cruise I was really interested in. 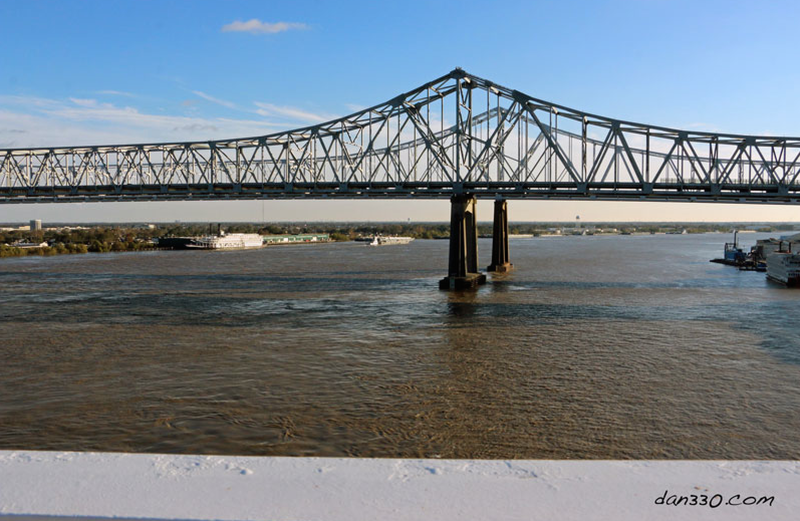 After riding our motorcycles the length of the Mississippi to Venice, LA a couple of years ago, I really wanted to see the lower Mississippi River from the other side of the levee. There is an incredible amount of activity on the river. I was impressed with how the crew not only navigated the river but the traffic as well. This is much different than being at sea with lots of room to maneuver. 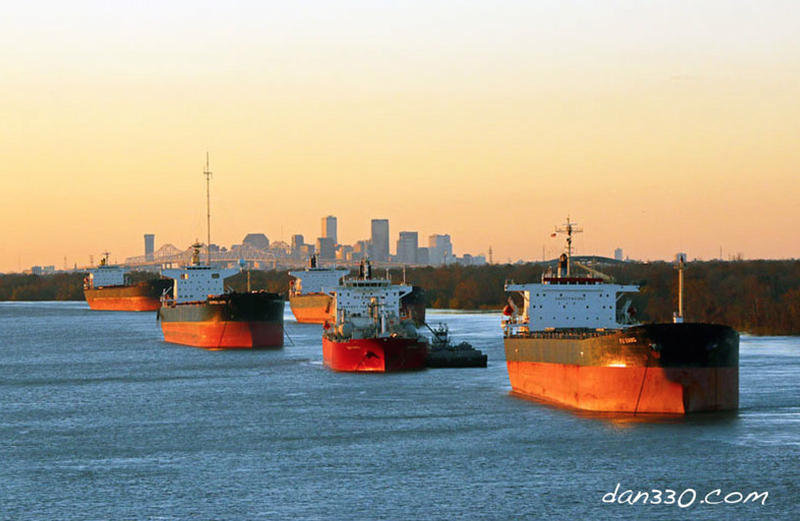 I kept thinking that each shot of New Orleans would be the last, but there are so many turns in the Mississippi River that it seemed like we were heading back to port sometimes. Heading down river at sunset. 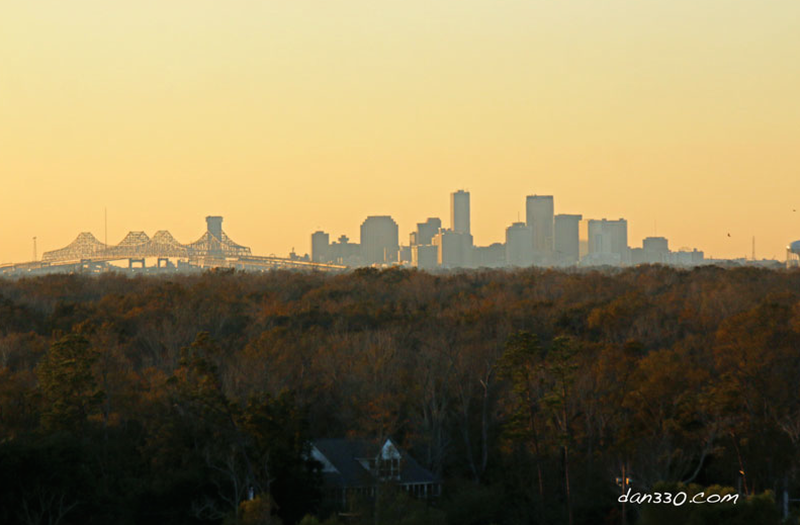 One last shot of New Orleans at sunset. Then I went down to our cabin to find my wife so we could unpack and have dinner. Once I got to the cabin it was time to get settled. Our bags had been delivered and we got unpacked and stored the bags under the bed. We were fortunate to have a cabin with a balcony too so there was plenty of room. Off to dinner we went. As mentioned earlier, the larger dining rooms had lines of people waiting to get in. The beauty of Norwegian’s Freestyle dining is that you can go anywhere you want to eat. We found a small dining area just off the Grand Atrium with not only plenty of room, but live music was being played one deck below. This was a great start to our trip. Next up, Day 2 at sea. 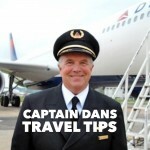 Captain Dan’s Tips: Pack your carry on bags with rollers. There are lines checking in and you do cover a lot of ground while boarding. Where comfortable shoes. 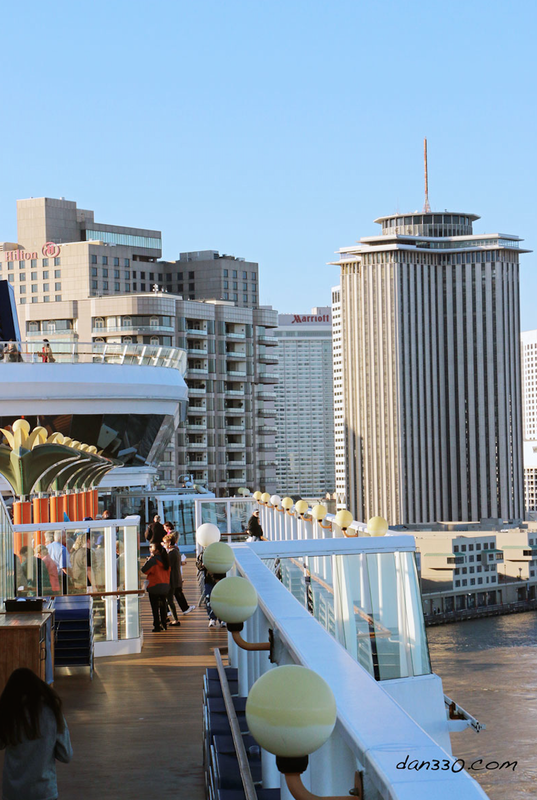 This cruise leaves New Orleans. Certain times of the year the weather can be cool, so dress and pack accordingly. Checkin online at home before you get to the pier. Get your baggage tags online too. This will save you time and hassle at the pier. Our cabin only had one 115v outlet. Plan accordingly or bring a splitter. Maybe a 220v converter too if you have one. 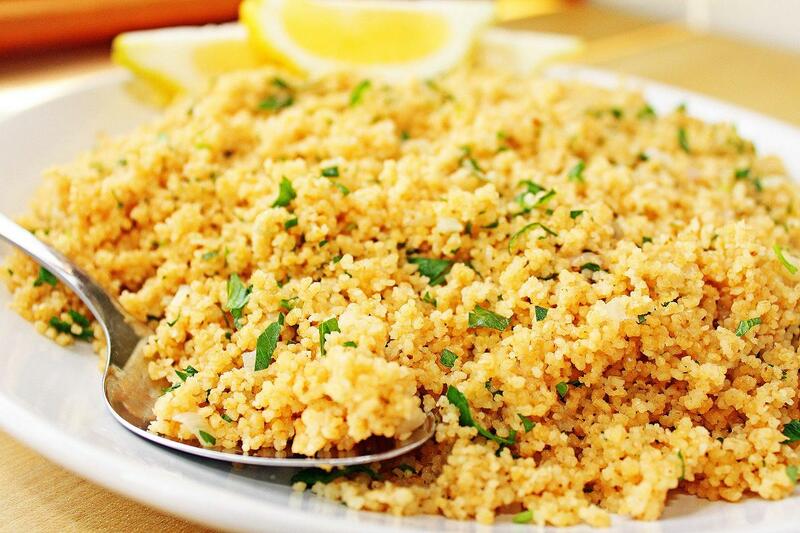 Check out your dining options right away to avoid crowds. We really liked Cagney’s Steakhouse. 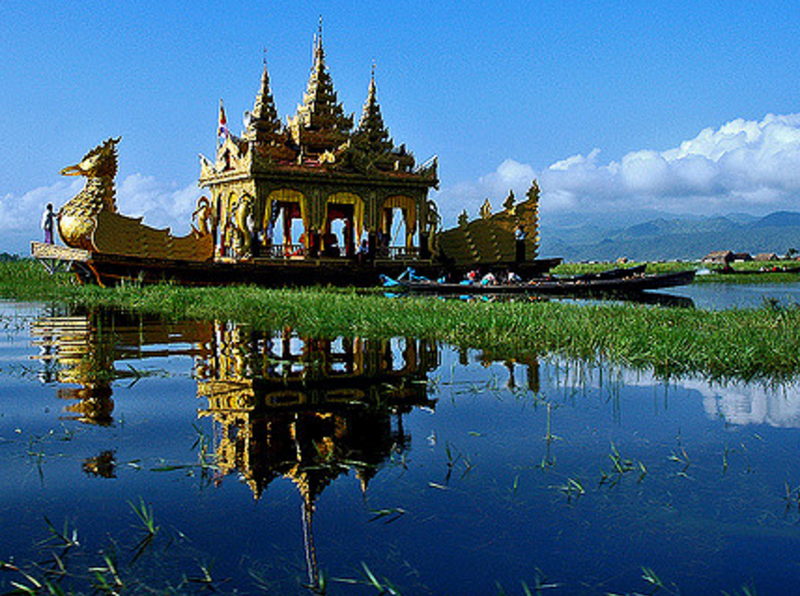 Travel Around Southeast Asia Like a Pro!